Amazing pattern! 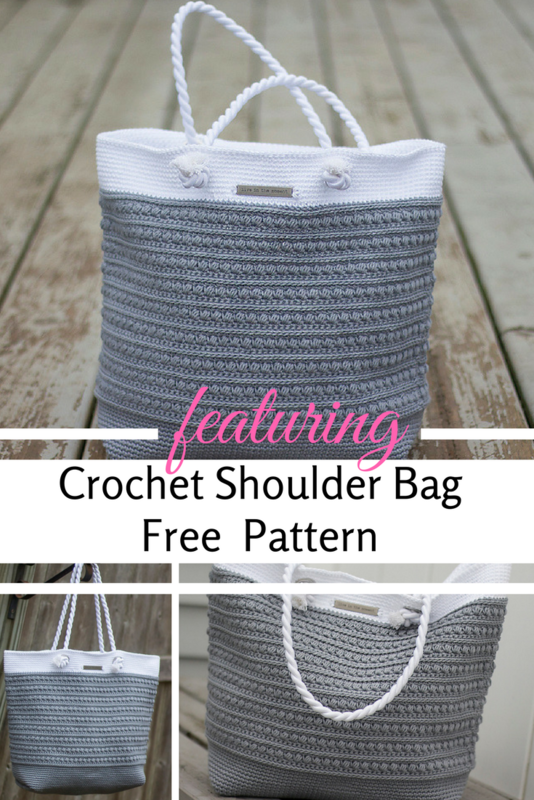 This crochet shoulder bag has it all – class, color , form and a beautiful design. Malia Shoulder Bag by Rebecca Langford is just gorgeous and you should start planning on making yours and a few more for your girlfriends. You can make it in a multitude of colors and you can use it for your yarn or crochet projects. The Malia stitch pattern is addictive and it’s so much fun. Yarn: Lion Brand 24/7 Cotton in 2 colors. 24/7 Cotton is a worsted-weight, mercerized yarn. You will need 675 yards / 4 skeins of COLOR A (I used “Silver”) and 100 yards / 1 skein of COLOR B (I used “White”). If using one color, you’ll need 775 yards total. 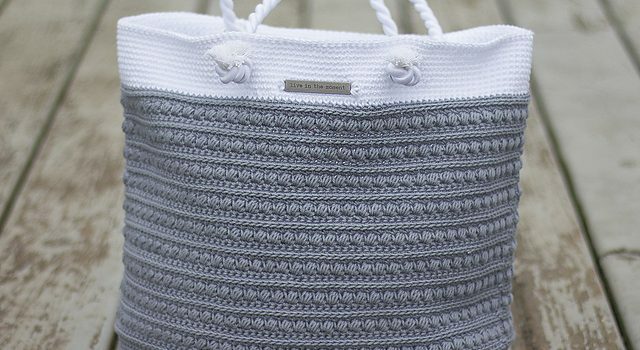 This Bag Pattern Loaded With Bohemian Charm Can Be Done In Just A Few Hours. Looks great. Lots of uses.